Becoming a Left-Handed Shooter | Eagle Gun Range Inc. I am right handed. That said, a progressive issue with my right hand will in years to come require I become a left-handed shooter; carry concealed left handed, train and compete left handed. It’s not what I’d prefer, but it’s likely a future requirement so I’m getting started early with preparations and training to build left-hand firearms competence. When I mentioned on social media that I was beginning the process of becoming a left-handed shooter, several of my friends asked me to document and share the process. So I’m doing just that, beginning with this article and its accompanying videos. My friends’ request would seem to be sensible, as surely I’m not the only one dealing with issues that will force a change of primary hands for everyday concealed carry, training, competition, and potentially even practical use. Whether from serious injury, stroke, or other causes there are times folks will have to make their lifelong support hand into their primary hand for everyday tasks. Life happens and that’s no excuse to go through the rest of it incompetent, unarmed, and defenseless. The first consequential and necessary step I took was ordering a left-handed holster in the model I prefer (the INCOG Eclipse). When it arrived, I began using my full-weight blue gun to practice mechanics and to sort out the changes I’d need to make in order to switch my everyday carry, draw, and presentation from right to left. There were more changes than I first thought there would be. Have to flip my belt from left-side insertion to right-side insertion into my pants’ belt loops. This change is required because I carry in the appendix position and I don’t want the holster clip to have to cover two layers; both the belt and the belt tail. So the tail needs to extend in the opposite direction than it does now. Had to contour and stipple new locations of my gun frame. I carry a Glock 19 pistol and I always contour the right underside of the trigger guard so that there is a larger, smoother transition from the trigger-guard underside to the right side of the frame. This makes gripping and shooting the pistol far more comfortable. I now had to contour the left side as well. As for stippling, I contour and stipple the forward area of the left side of the frame where my support-hand thumb rests when I grip the pistol. I use that index point as an anchor for my thumb to help control the recoil impulse when firing. I therefore had to do the same to the right side. I’ll need to order a magazine pouch with bullets facing the opposite direction. I carry two extra magazines every day as a part of my EDC kit. I’ll have to carry them on the right so I need a pouch with the bullets facing forward on my right side. Haven’t ordered this Ronin double mag pouch yet, but will do so very soon. Interesting to note that this change means I’ll have to change my phone-pouch carry position from the right to the left. Above: My current belt complement for my right-handed carry. I’ll have to reverse all of what you see here for left-hand carry. I’ll need to order a right-facing holster for my TDI knife. I carry a TDI knife in the near middle of my back on the exterior of my belt that is made for me to reach back and draw with my left hand. I’ll eventually need one facing the opposite direction, for use with my right hand. I may also eventually need to change the pocket locations of a couple of other EDC items, but perhaps that won’t be so crucial. Luckily, I’ve practiced left-hand-only pistol manipulations for years and I’m confident in my ability to draw (from a right-hand holster), reorient the pistol, engage, clear malfunctions, and reload all with my left hand. That’s just part of training to stay in the fight should my primary hand/arm be injured or otherwise engaged. Going to a left-hand draw from a left-hand holster and engaging lefty with both hands on the gun is a different matter. After some blue-gun practice at home, I did some left-hand training at the range this week. I started with some dry draws and presentations, making sure I was solid getting my hands safely into a proper grip in that process. As you can see in the video here, things went okay, but there were a host of little things that were not quite right. My support hand doesn’t yet feel very comfortable on the gun. It feels weak, actually. Adding a stippled index point for my forward thumb may help with this. As a lefty shooter I’ll be cross-eye dominant. There will be no changing of my dominant eye from right to left, but I’m good with this. Marrying my hands after the draw feels clumsy. This is a training issue. My arm mechanics in and after presentation are wrong. Elbows should be facing outward more and not pointed down toward the ground. After some dry-fire I went to live-fire draws and shots. Here I was 23 yards from a 12” steel target. I may have to adjust my holster’s ride height to get a better grip before drawing from the holster. Accuracy is pretty good. The video eventually shows a few misses, all because I was trying to concentrate on shoulder/head position and grip mechanics rather than accuracy. At first and then later, I have solid hits because I was trying to be accurate, so I was. Grip still feels odd and weak. Arms are still in wrong position (elbows badly facing downward). Turtling, still (head down, shoulders hunched). 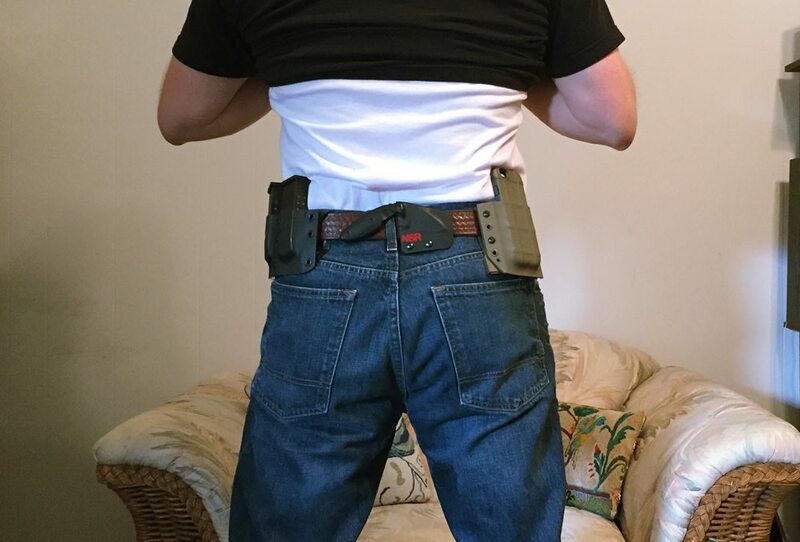 Appendix carry can be mildly dangerous for beginners and those switching hands as I am here, but my draws and re-holstering are going just fine and I am competent in my safety here. Other than this, things are going pretty well. This is day one of week one. I’m not surprised by my mild clumsiness and the poor mechanics. It’s a process. I’m mostly concerned with safety and gross mechanics at this point. On those issues I am happy with the results. 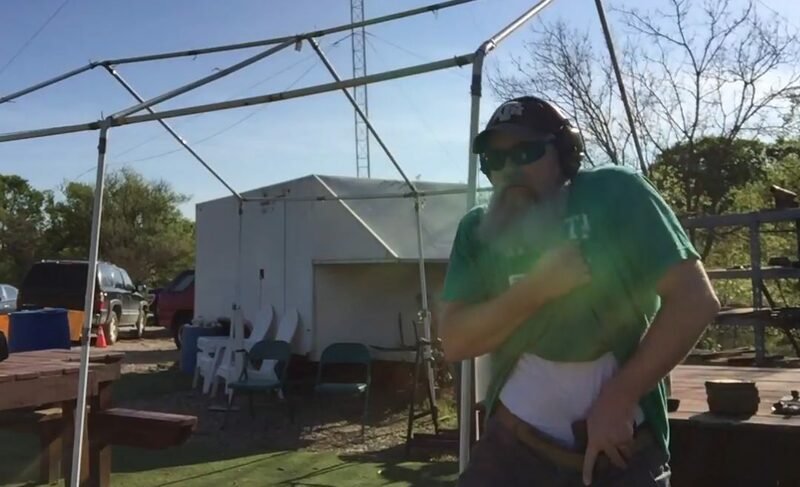 Here is my summary of observations from day one, the video made after my range session. I’ll continue to document my transition process and will be sure to note any and all interesting or consequential observations that come from it. I’ll publish those observations in subsequent articles either here on the Eagle blog or on my own site. I hope you’ll find it all interesting and will stay tuned. 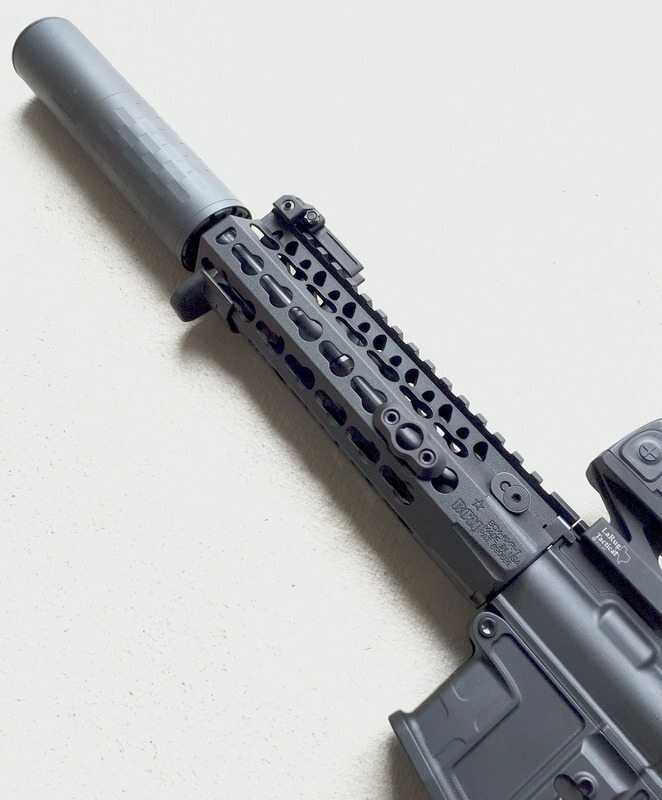 Very interested to get your thoughts on best operation for manipulating the slide release. I’m a lefty wanting to get into competition, but having trouble figuring out the fastest way to get the slide forward. Currently, I have to use my shooting index finger to hit the slide release, but I have to break my grip a little to get there, and it feels like I’ll be sacrificing time or accuracy. Sure, the easy answer could be to get a Gen 5, but I’d like to just use my Gen 4 Glock 19. Anyways, Happy to hear more on your progression and your thoughts when you get to this part. As a practical shooter I’m compelled to point out that there is no slide release. The lever is for slide lock and the release is accomplished by racking the slide. So I urge you to not try to manipulate that lever to send the slide home and rather learn to always rack the slide. Cheers.